Memorial Day puts a face to the freedoms that we enjoy in this country. It puts a face to those men and women who have lost their lives defending the freedoms both large and small that we all too often take for granted. The faces of those American veterans reflect the images of our grandparents and parents, our brothers and sisters, our friends and our children and grandchildren. They are all too often the gentle faces of young men and women who volunteered to protect us with their very lives. Eleven years ago the Believe In Tomorrow Children’s Foundation embarked on an initiative to greatly increase our service to active U.S. military personnel who have children in medical crisis. I am enormously proud of the Believe In Tomorrow Military Initiative. It is an opportunity for us to show our gratitude and support to veterans, while most importantly fulfilling our core mission of helping sick children and their families. It is a uniquely meaningful endeavor because there is a very compelling need to provide support services to military families who are struggling with the medical issues of a critically ill child. 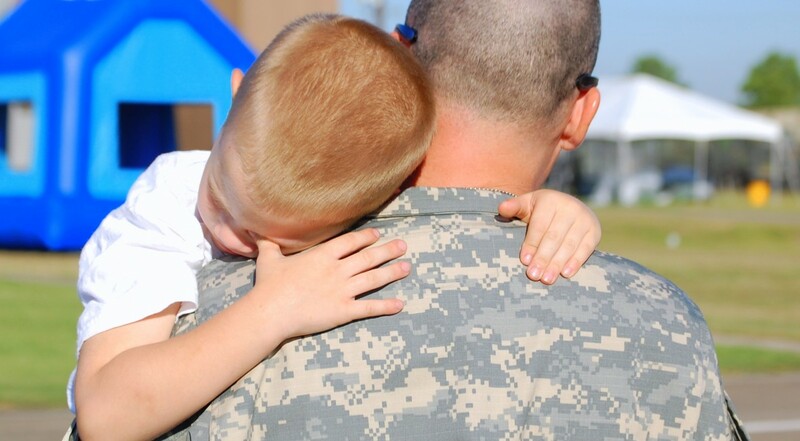 Since 2005 thousands of military families have been offered comfort and joy through Believe In Tomorrow services. I am proud to announce that this year we will be building two additional respite houses to support the demand for the services of the Believe In Tomorrow Military Initiative. One will be a beautiful mountain home in Deep Creek, Maryland, and the other will be an extraordinary beach cottage just steps from the Atlantic Ocean. Both respite facilities will provide an abundance of natural beauty, peace, and tranquility to the families that we serve. Like each of our nine pediatric respite and hospital facilities we will be achieving their completion through many donations of time and construction materials. Please consider joining our team. There is something very symbolically American about volunteering to support those who volunteer to protect us. You can find out more about these volunteer opportunities by calling the Believe In Tomorrow office or sending us an email. I hope that the images that represent this week’s Memorial Day remembrances inspire us to cherish the sacrifices of our veterans in the pursuit of freedom. I pray, that those sacrifices make our world safer for future generations, and help to bring us together in peace.